Government experts are mulling over all possible options to ensure revival and strengthening of the sector. The years to come will see increased efficiency and productivity. The medium-term outlook for the timber industry is under pressure while the short-term outlook for South Africa’s timber industry looks promising, with positive supply and demand figures. 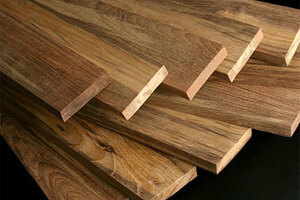 As the total area under plantation in South Africa is not expanding in line with the demand for structural timber there is a looming timber shortage. Sawmilling South Africa highlights that South Africa structural timber stockpiles are currently self-sustaining; however, he warns that the industry needs to address the potential shortage, which is expected to hit in the next five- to six years. Structural timber demand currently is particularly high in the Western Cape and indications are that the pole industry is also healthy, largely because government is still implementing large electrification programmes. However in five or six years, supply will not to be able to meet demand and plans are not yet in place to ensure an adequate future supply of timber. Industry experts point out, stating that the timber industry must try to improve its efficiency, which would require investment in expensive new technology. “We have been talking to the Department of Trade and Industry about this possibility, but whether it is viable for companies at this stage is debatable.” Experts say that each of the measures to ensure an adequate supply of South African-grown timber would take many years to implement, asserting that the more prudent option would be to expand existing plantation areas. It is estimated that South Africa will have to import nearly half its pine for structural purposes within the next two decades. The sawmilling industry is in consultation with government about several possible remedial measures, one of which is for government to grant licences for more plantations. Restrictions were introduced about 20 years ago, owing to a dwindling water supply and, as the economy of the country grew, the establishment of forests fell out of focus. It takes 22 years to 30 years for trees to mature sufficiently to be used for structural timber, depending on the location of the plantations in the country. Another potential compensatory measure is for the sawmilling industry to increase its efficiency. At the moment, only about 49% of the tree is used, 20% of which goes into the structural industry.